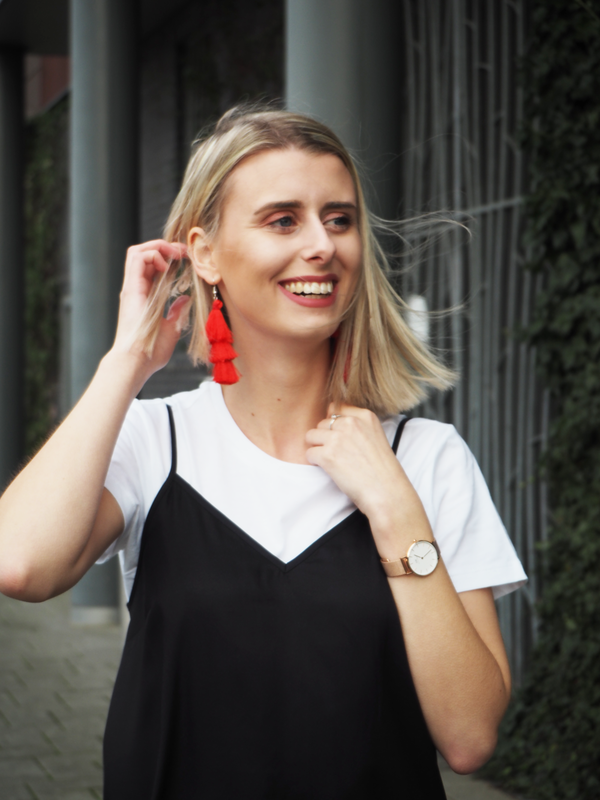 I’m so happy to share another outfit post with you today – it feels like since I’ve been back at uni I’ve had no time to see Jamie and get out and shoot! I’m also very much lacking in new outfits to share with you, but I picked up this cami dress from Asos a few weeks ago, knowing I’d love to pair it with a basic tee. 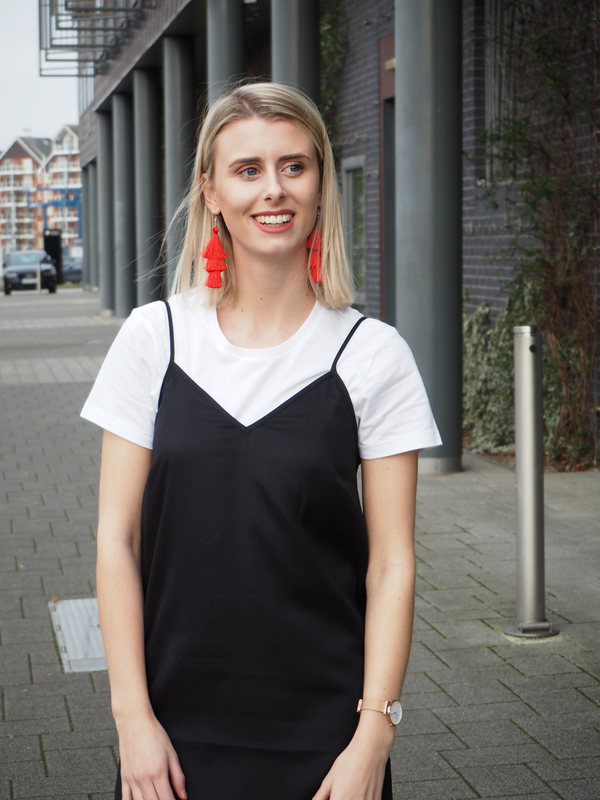 There are so many fab dresses in the shops right now that will be perfect for summer, but are equally great for layering now while it’s still a bit chilly. 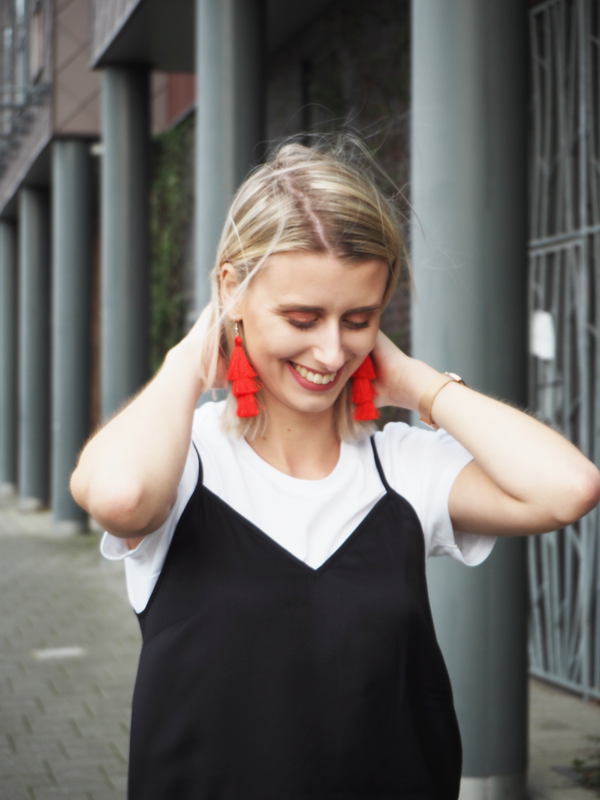 I then ended up finding these mega sassy earrings from Primark which add the perfect pop of colour to an otherwise pretty boring monochrome outfit! 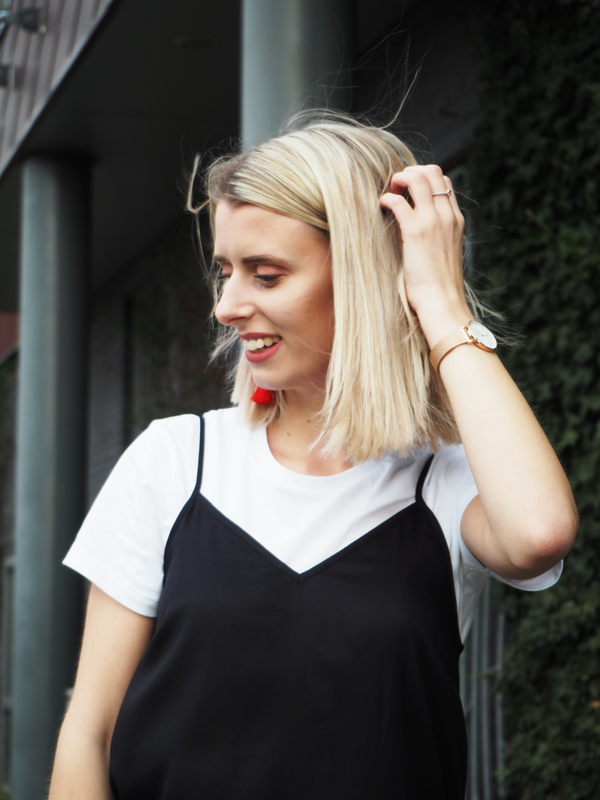 I don’t have a lot to say in this weeks edition of the rambly outfit post – it’s been a pretty hectic week for me uni-wise, and I feel like until now, I haven’t had a chance to sit down and get some things actually done. I’ve been neglecting my blog, and the recent stats have shown that a little. I had such a good month in terms of interaction, stats and opportunities in January, and it’s a little disheartening to find things aren’t going quite as smoothly this time around. It all comes down to my priorities, and right now uni (unfortunately!) comes first! I’m looking to get a head start on my essays so hopefully, I’ll be able to put some more time into blogging again soon. After my post talking about Figuring Out My Direction, on Friday I applied to my first few grad jobs in digital marketing – the first was just an internship, and the other a full time position. I’m not expecting big things but it’s exciting to finally take the plunge with something completely new to me! I’ve got a slightly quieter week next week, and I’m looking forward to spending the weekend with Jamie doing super romantic belated valentines things! P.S. 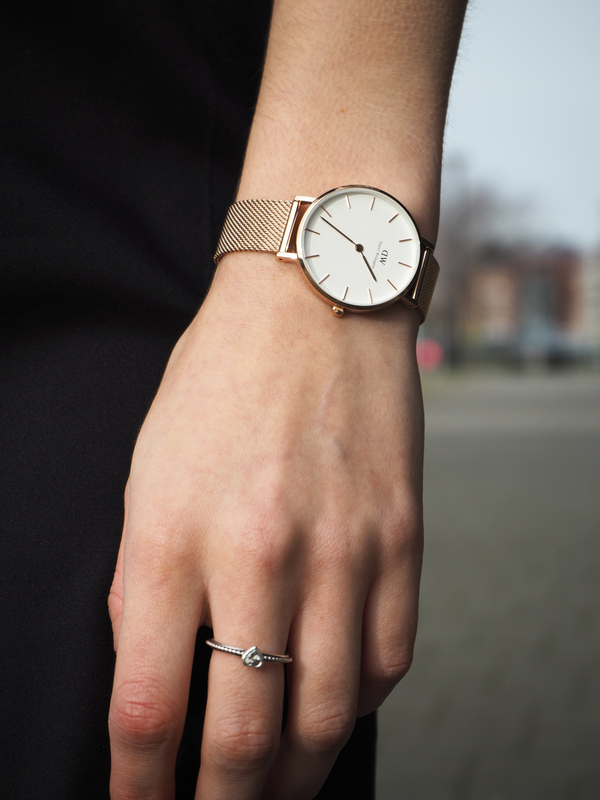 There’s still chance to get 15% off your order at Daniel Wellington with the code ‘LUCYCOLE’! "5 Things You Should Be Watching on Netflix Right Now"